Salvation Army emergency disaster services (EDS) in the Midland Division made possible the rebuilding of a creek crossing and steep road to free three elderly people with health problems who were trapped in their hill-top homes after massive flooding occurred in Franklin County, Mo., last year. 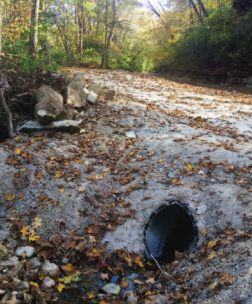 The flood waters were strong enough to sweep away the 2,000- pound concrete blocks supporting the creek crossing, and heavy rains caused a landslide of mud that obliterated the hillside road to the crossing, reported Alicia Justice, Salvation Army disaster case manager for Franklin County. in the county, which lies in the foothills of the Ozark Mountains; more than half of the 142 cases she received are still current. As a member of the long-term recovery committee assembled for the region by various aid agencies and churches, Alicia received referrals of people in the greatest need. Volunteer crews from local churches dug out the steep road, the ledge for which had been completely eroded by the mud slide,” said Alicia. 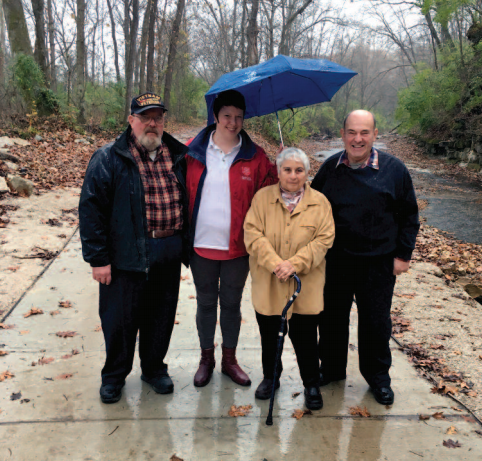 A Federal emergency Management Agency (FEMA) appeal for assistance and funds from a community “pot” allowed Alicia to pay a contractor hired by the affected hill-top residents, Jim and Sue Reed and Jim’s brother, Thomas, to rebuild the simple bridge. In addition, Alicia was able to pay for the installation of fiveton cement blocks along the side of the road going down to the crossing to stabilize it from future mud slides.